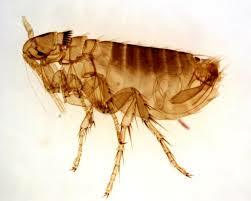 Adult fleas are reddish-brown in color and are less than 1/10 inch in length. They lack wings and have laterally compressed bodies enabling them to move easily through body hairs. They have three pairs of legs with the back pair modified for jumping. There are several species of fleas and each feeds on the blood of animals to reproduce. The cat flea is most common and is usually the species found on cats and dogs in homes. The dog flea looks and acts like the cat flea but is less common. The true human flea is uncommon but may occasionally be found on people. Other species of fleas are associated with many other warm-blooded animals. Each species of flea prefers to live and feed on a certain kind of animal (host) but when hungry may attack other warm-blooded animals including humans. There is no such thing as a sand flea that can live in the soil without having to feed on animals. Female cat fleas deposit their eggs on their hosts, in pet bedding, on floors and furniture, or on other accessible places. Eggs laid on the host are not firmly attached and soon fall off. In a few days the eggs hatch into slender, white, legless larvae with bristly hairs. 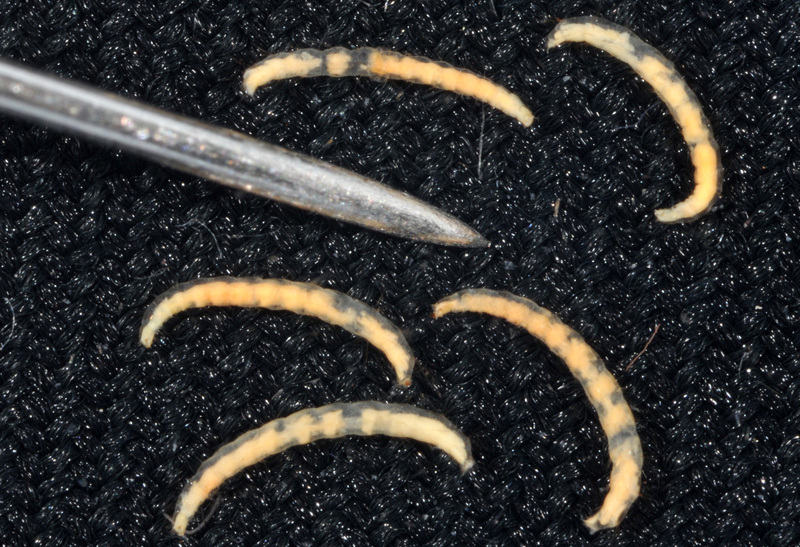 These tiny larvae are scavengers that feed on dandruff, body wastes, and other debris on the floor or in pet beds. In 12 to 15 days the full grown larvae change to pupae and then to adults. Adults fleas immediately search for animals upon which to feed. Flea control should be two-pronged, directed to cats and dogs to kill adult fleas and to breeding sites to eliminate immature fleas. Pets can be treated for fleas by using insecticide sprays, dusts, foams, shampoos, collars, feed additives, spot-on treatments, and pills. Insecticides registered for pets include pyrethrins, permethrin, lufenuron (Program), fipronil (Frontline Plus), and imidacloprid (Advantage II). Check with a veterinarian for specific products and formulations containing these insecticides. Always read and follow insecticide label directions. Do not use any insecticides on a pet unless the label specifically states that it can be used on that pet species. Note restrictions such as age of animal to be treated, and precautions such as not treating sick animals or using in conjunction with other medications. Products advertised for flea control such as pet collars equipped with electronic sounding devices and combs for mechanical removal of fleas have not been proven to repel or control fleas and are not recommended. 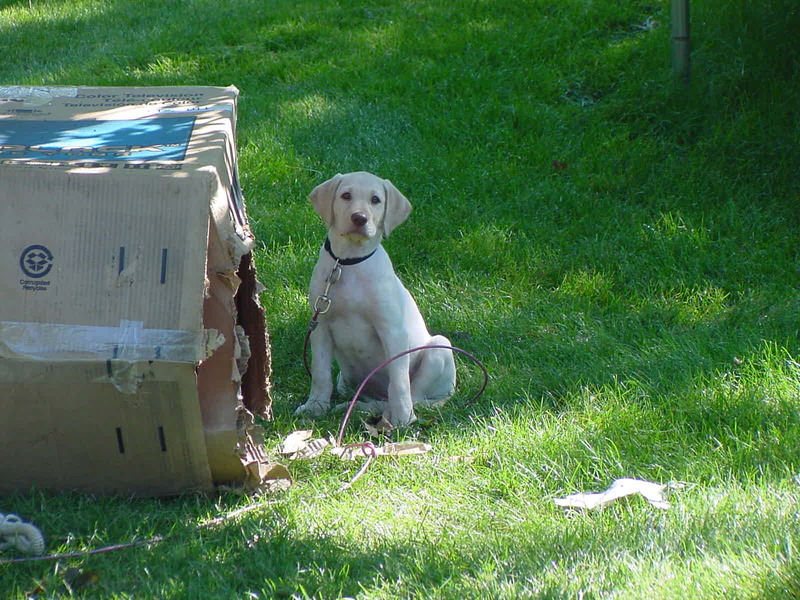 Often, pet owners returning from a vacation find their home overrun with active adult fleas. In most cases this is because immature fleas, present when the owners left, have completed development, and the newly emerged, hungry adults are searching for a blood meal. In other cases, homeowners or new tenants moving into vacant homes or apartments where previous tenants had dogs or cats may also experience an adult flea problem. Before any insecticide is applied for flea control it is advised to vacuum the premises thoroughly, especially carpets, and bedding, in areas where pets frequent, in cracks and crevices along walls, and in all upholstered furniture. The vacuum bag contents should be placed in airtight plastic bags and discarded as soon as the house has been cleaned to remove the accumulated flea larvae and pupae. Insecticides available for use in homes include a pyrethroid insecticide, such as permethrin, to kill adult fleas, and apply spray formulations as a light mist to floors, carpets, upholstered furniture, and baseboards. Before spraying delicate fabrics, treat a small portion to be certain that the spray will not stain the fabric. 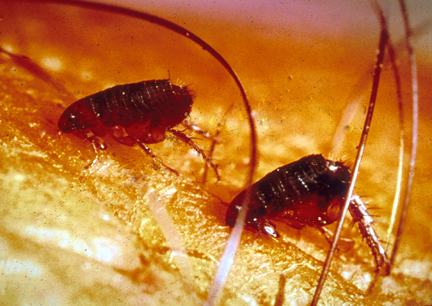 Methoprene (Precor) and pyriproxyfen (Nylar, Archer) are insect growth regulators that prevent flea eggs from hatching and larval fleas from pupating into adults. Because these products do not kill adult fleas, it is advisable to use these in conjunction with an adult flea controlling insecticide. Always read and follow label directions and precautions before using any flea controlling insecticide. Fleas may also bite people, particularly if no other host is present. They are well known for their ability to jump (sometimes 8 – 10 inches) and do so when a potential host happens to walk by a newly emerged adult flea. As a result, flea bites occur most often near the ankles and lower legs of people. Fleas once posed a serious threat to humans because they transmitted the bacteria responsible for bubonic plague, however this disease has largely been eradicated, especially in the developed world. Likewise, in years past, fleas also spread tapeworm to humans but again, this is of minimal risk today. Currently fleas are mostly considered a nuisance pest even though every person responds slightly differently to the bites. For most people the bite leave an itchy, red bump with a single puncture point at the center, that persists for one or two days. For people who are more sensitive, a red halo forms around the bite and itching is more intense and persistent. In still other people an allergic reaction may even occur. Secondary infection due to scratching is always a concern, especially in young children. Cleaning the area with antiseptic solutions, using topical antihistamines and monitoring closely for signs of infection is the recommended first aid for these bites. Cat fleas feeding on human.